After Sony, the concept of Smart Watch is predominating among trendy gadgets. 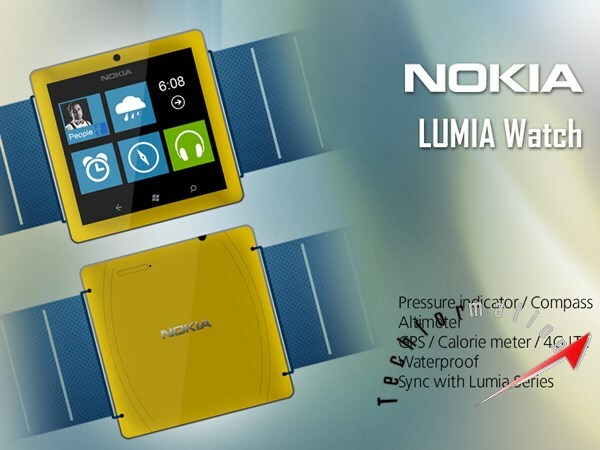 The success of Sony Smart Watch had brought another conceptual idea to a designer to design a smart watch exclusively for Nokia Lumia Series. 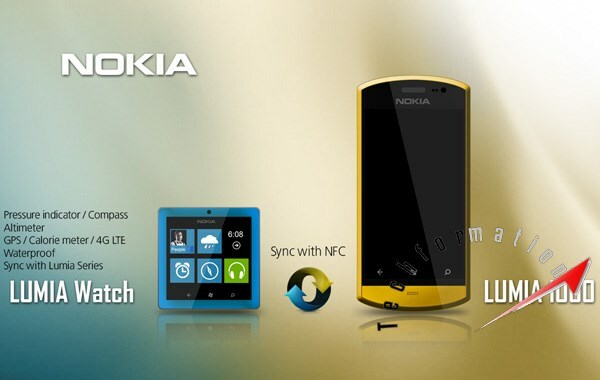 The specifications given were par excellent compared to Sony's. 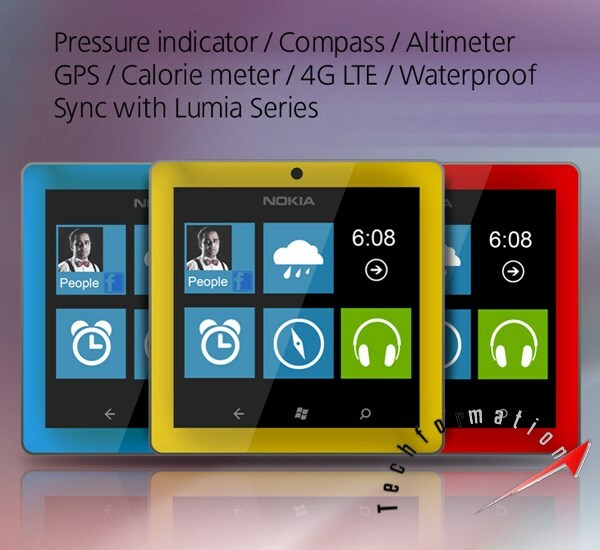 This Smart watch will be having active sync to all Lumia devices. 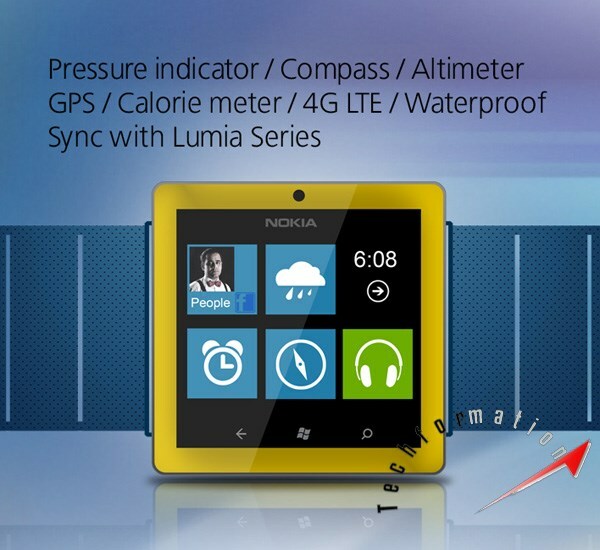 It is equipped with a pressure indicator, compass, altimeter, GPS and a Calorie meter. This smart watch is designed for adventurers. 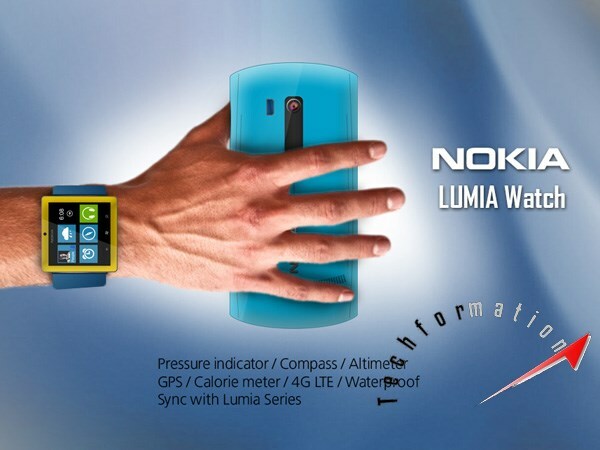 It supports 4G LTE network and is a waterproof watch.